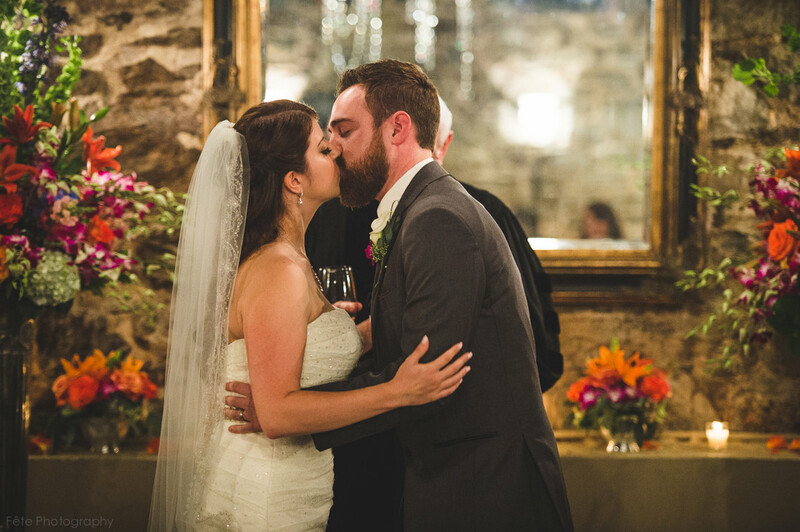 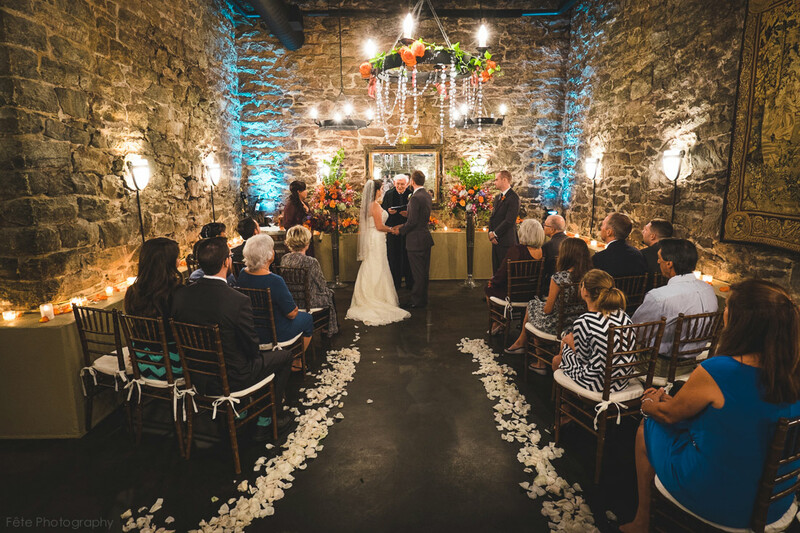 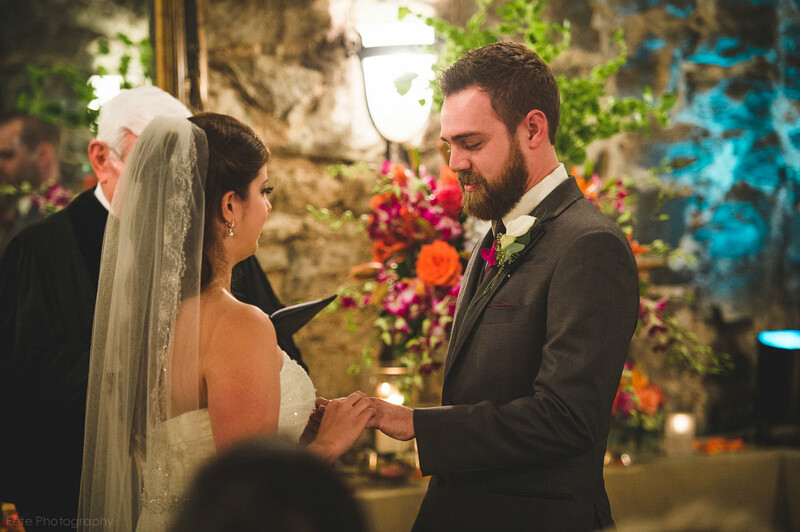 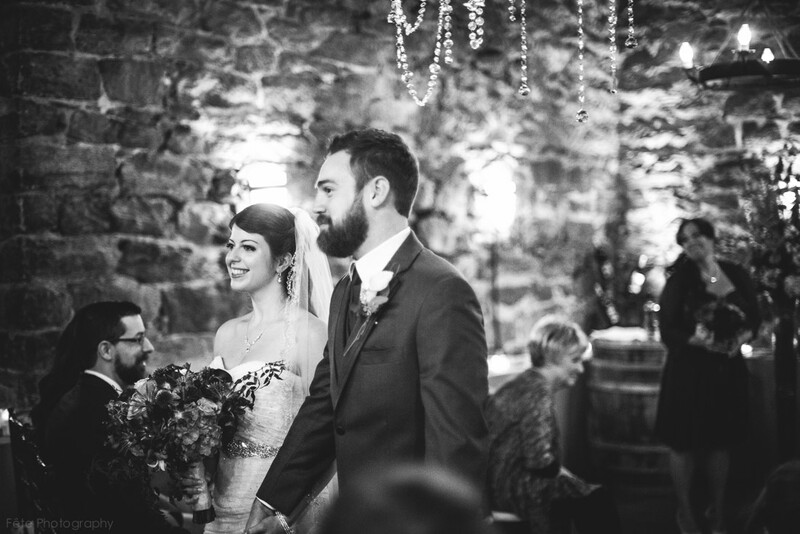 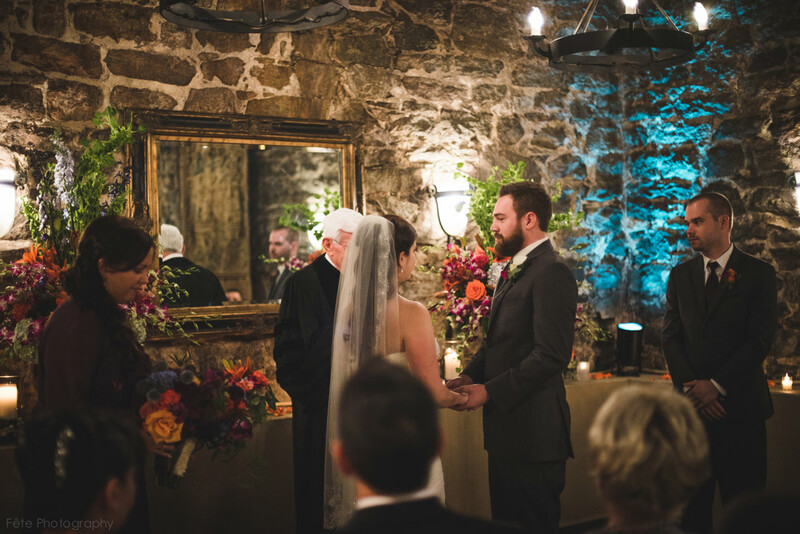 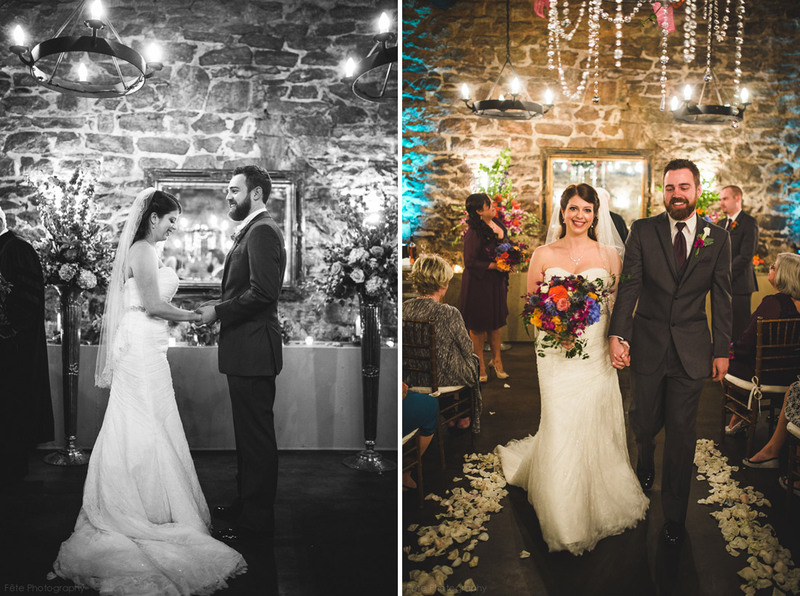 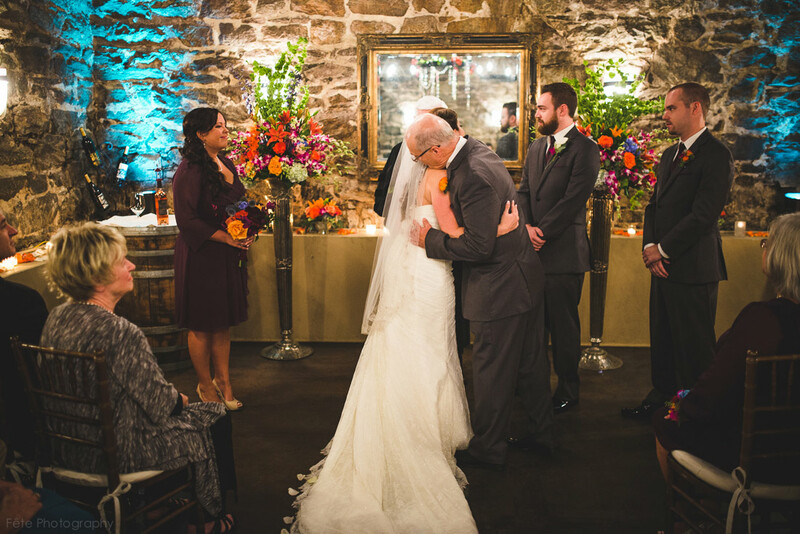 This fetching couple chose Biltmore’s Champagne Cellar for their ceremony and reception. 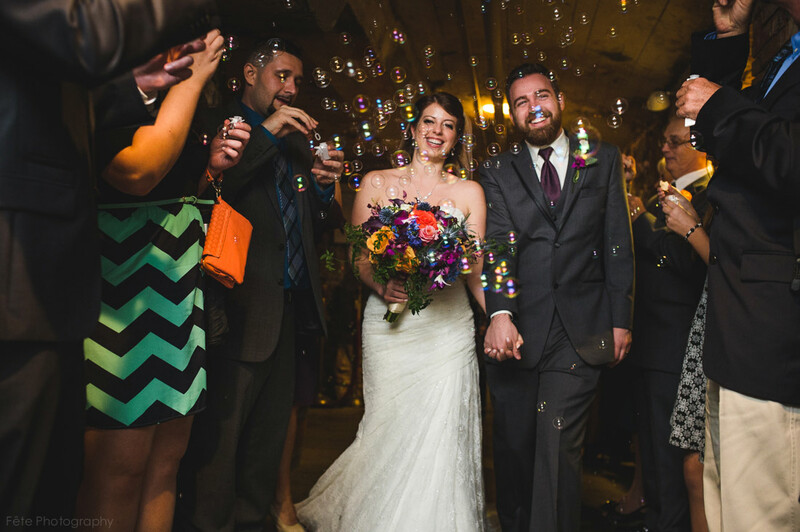 They incorporated wine into the theme by using an actual wine bottle as their guest book! 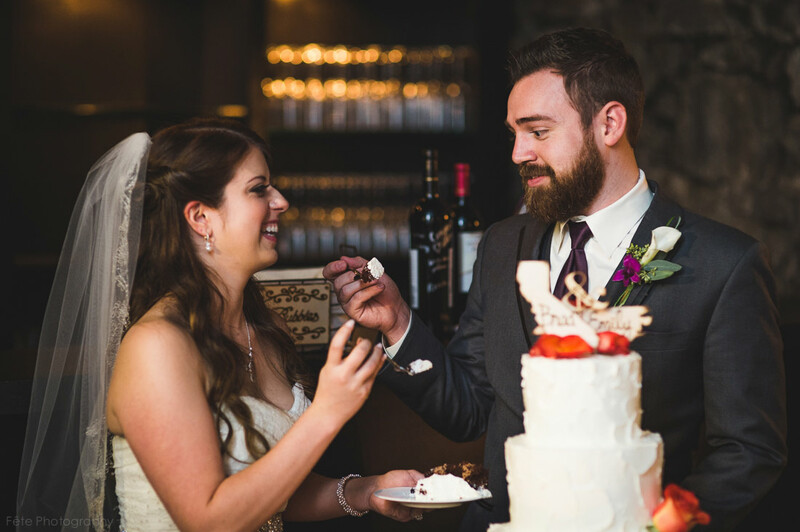 The customized wooden cake toppers representing their respective home states are so adorable. 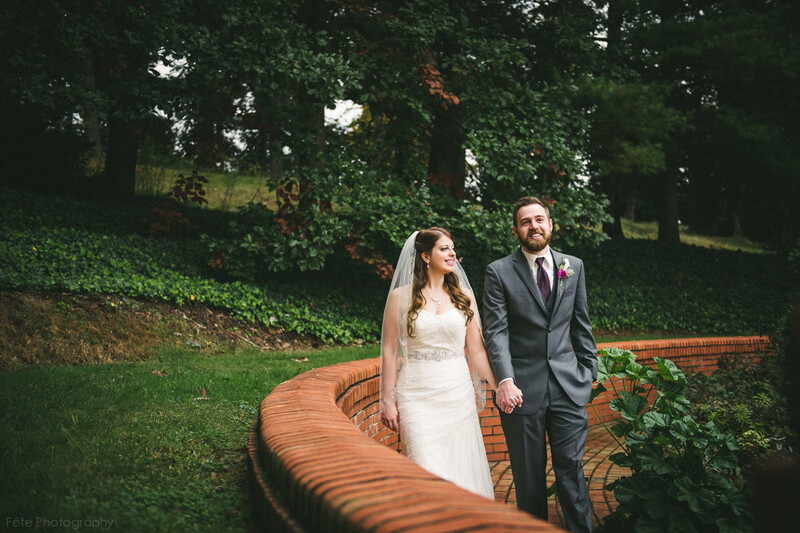 After the reception Emily and Brad wanted to spend some quality time taking portraits around the estate. 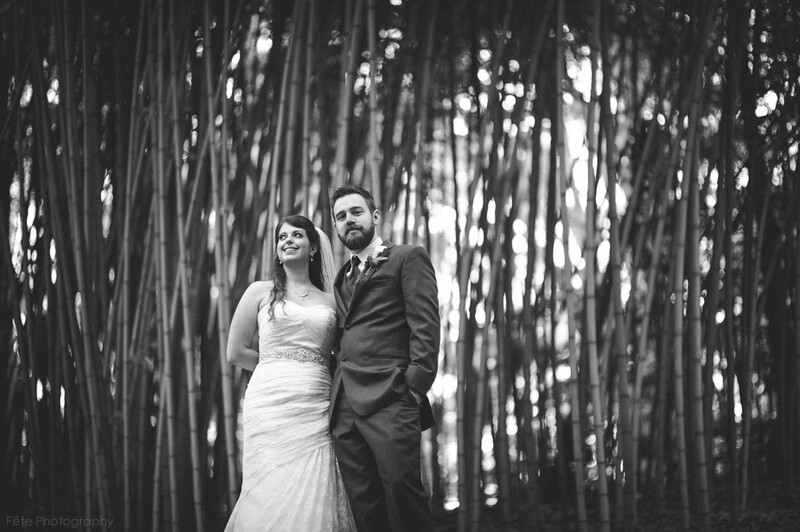 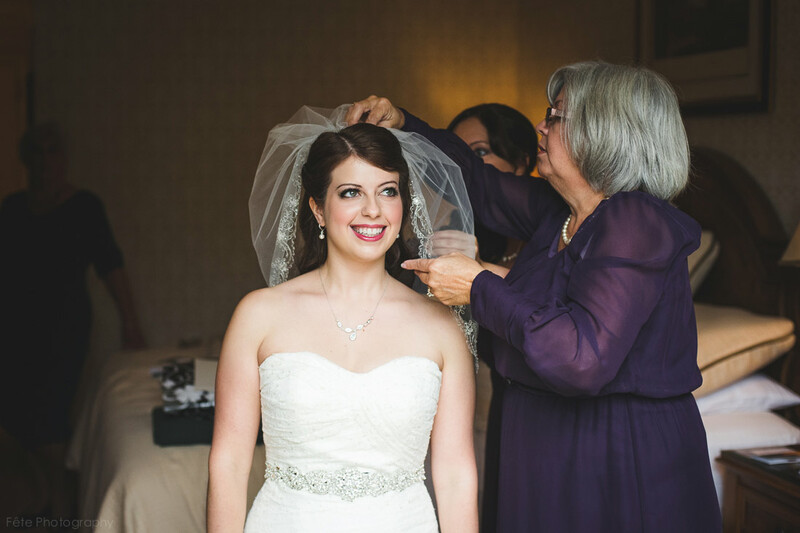 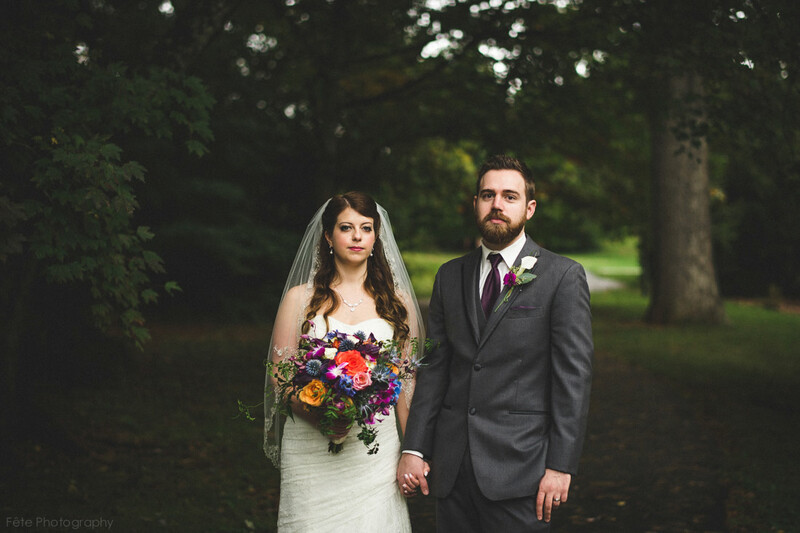 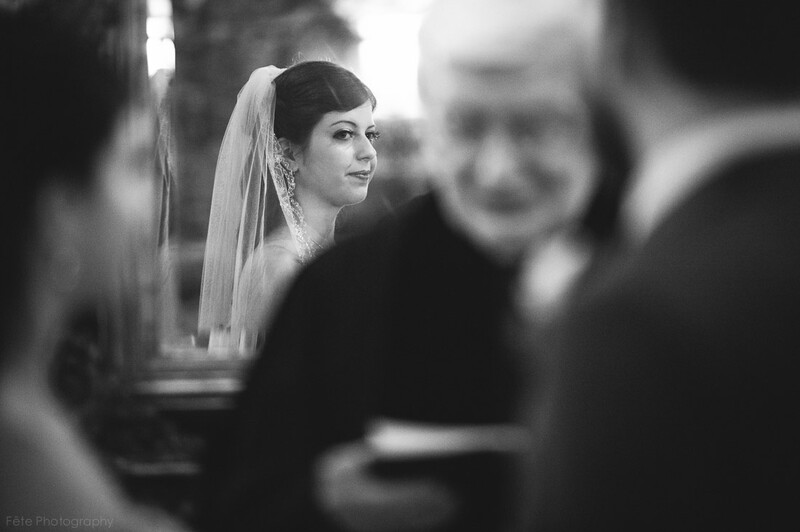 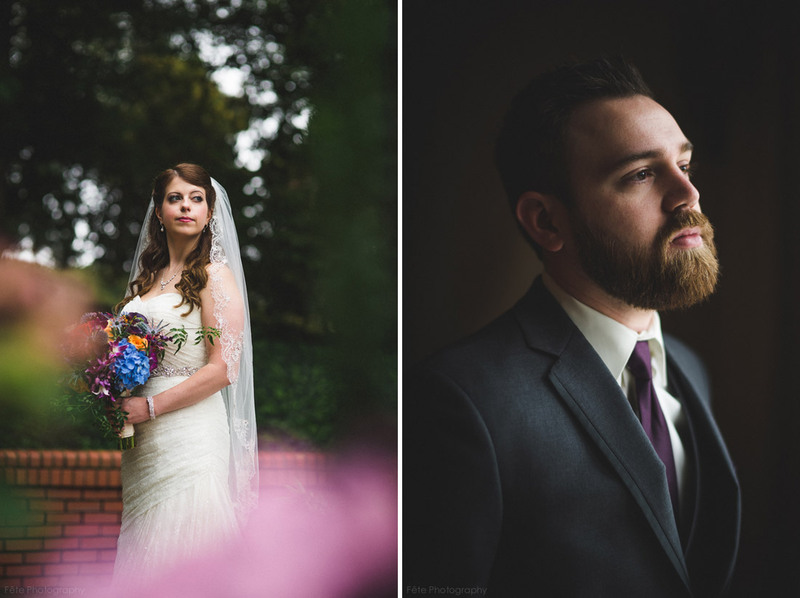 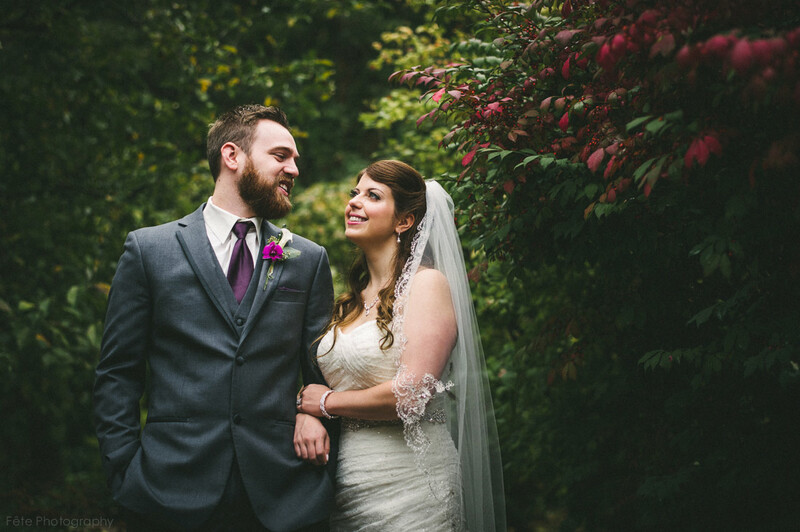 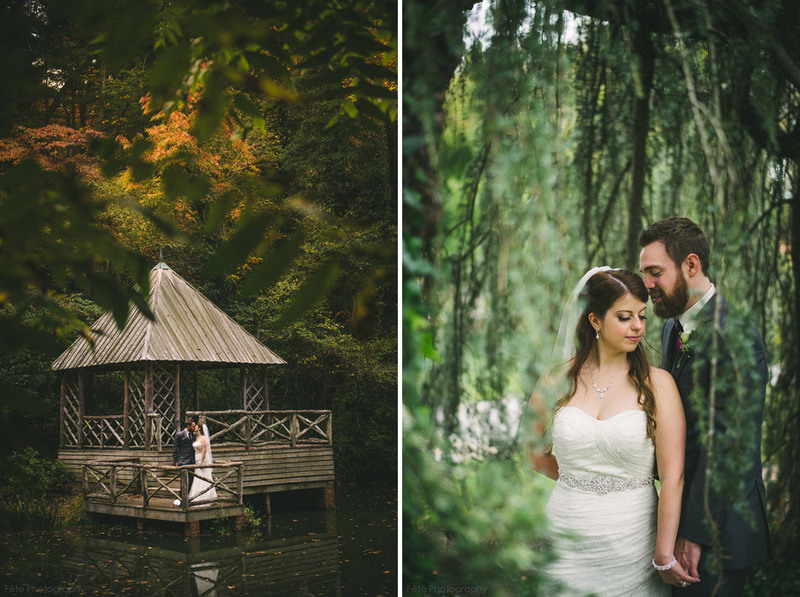 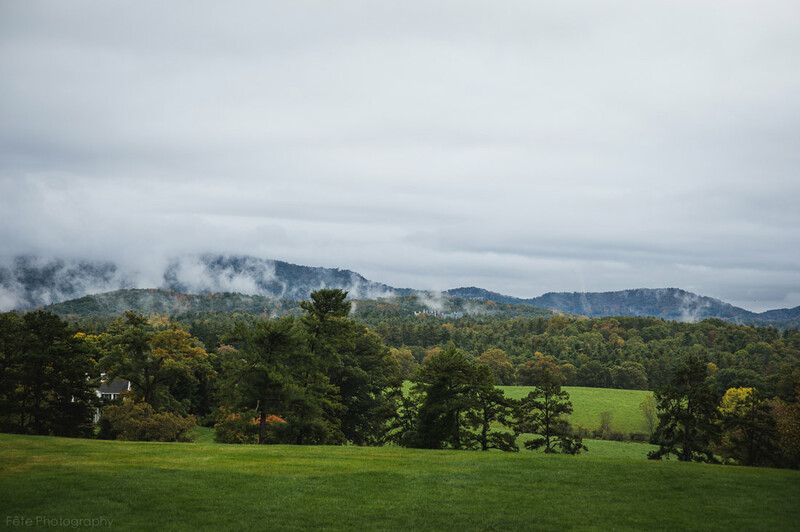 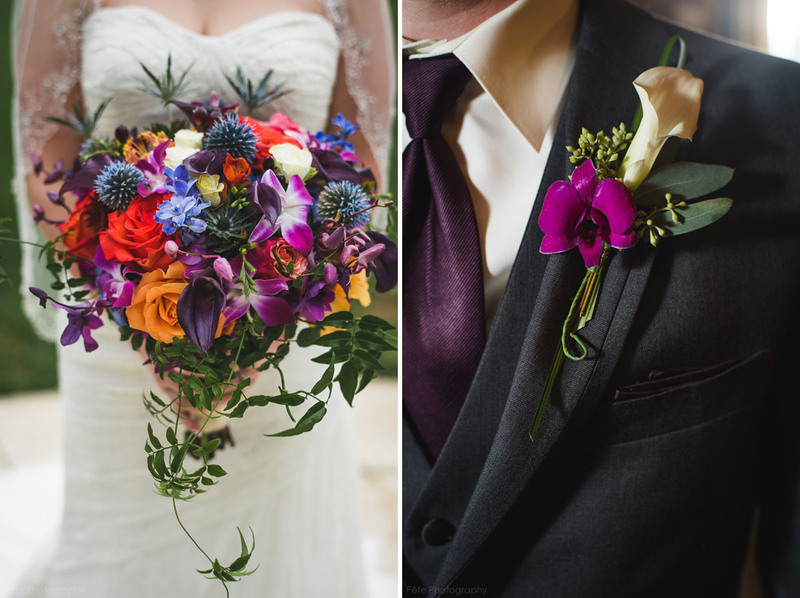 To see more details from this wedding you can check out this featured wedding on Wedding Chicks.